Picosmos Tools v1.8.5.0 - Picosmos is a software covering with all kinds of image functions, such as special effect, browsing, editing, composing, segmentation, combine and screen recording and screenshot. You can do most of things if you install it. 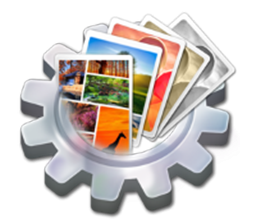 Image browsing, Picosmos has professional software to read pictures named “Picosmos Shows”. You can do any complex operations to images through it. You can add special effects and photo frame to images, making them look more vivid. Combining your images to produce posters and covers, preview layout tools, put pictures together according to stipulated rules. Operating pictures, such as clearing up, optimizing, adding watermark and rotating. Combining multiple modes of clear screenshots. It can make sectional drawing easy and quickly separate the background. It can produce SWF files spreading on the Internet, such as GIF and WebM. Erase debris from the photo quickly.